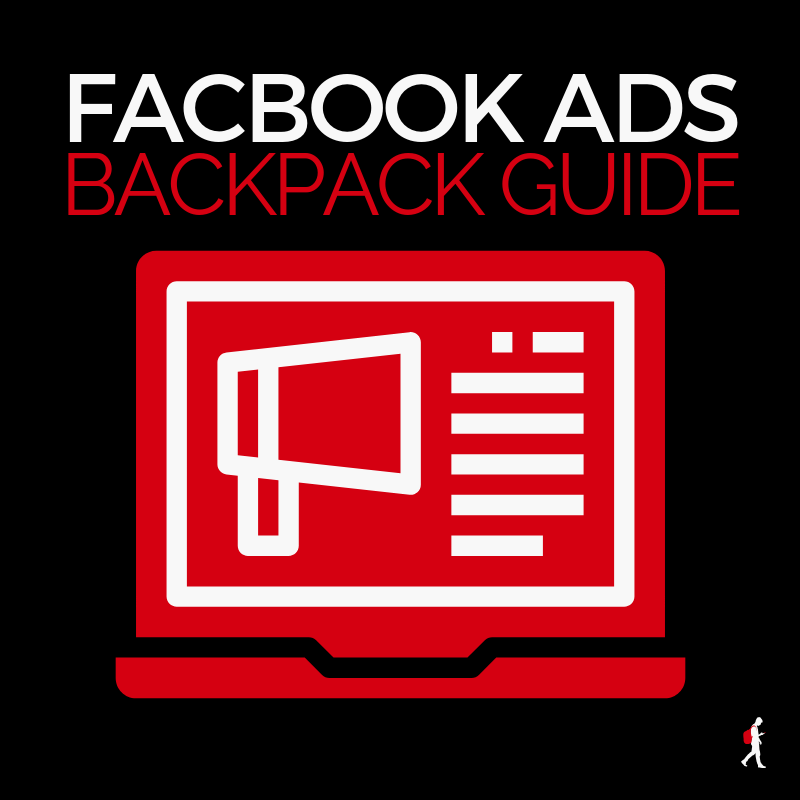 Dr Ben Adkins' (2019 Updated) Step-by-Step FB Ad Guide: You'll learn how to easily navigate the Facebook Ad editor as well as how to create, target, track, and scale profitable Facebook ads for your Business. All 5 of Dr Ben's FB Ad "Backpack Checklists": You're getting Dr Ben's easy to reference, step-by-step, checklists for each part of the training (each part detailed below). This will allow you to quickly put everything that you learn inside of the training into action... without having to go back and watch the full training. Part 1: How to Craft a Jaw Dropping Offer in 2019: You'll learn how to create the kinds of offers that get attention in Facebook's crowded newsfeed (and what has changed over the last year). Part 3: Professional Ad Targeting: You'll Learn how to use Facebook targeting options to find your business' hidden buyers. Part 4: How to Setup Rock Solid Ad Tracking: You'll learn how to know exactly which audience and which ad is actually bringing you sales and optins. 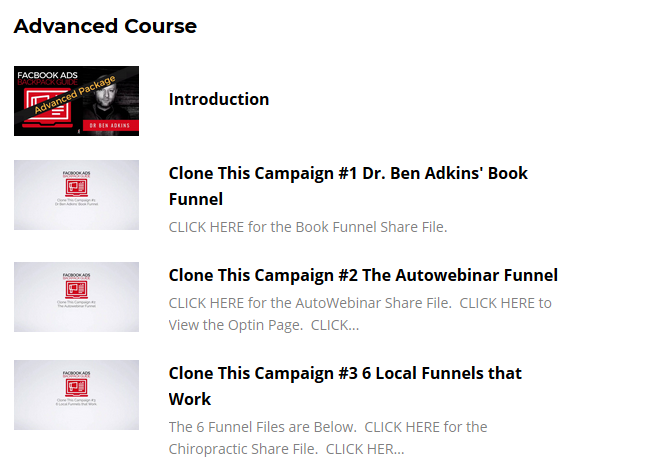 [Advanced Only] Clone this Campaign #1: Dr Ben Adkins' "Book Funnel" and Facebook Ad Setup. (complete with Messenger Bot setup) #2: Dr Ben Adkins "Autowebinar Funnel" and Facebook Ad Setup. [Advanced Only] Clone this Campaign #2: Dr Ben Adkins "Autowebinar Funnel" and Facebook Ad Setup. [Advanced Only] Clone this Campaign #3: Dr Ben' "Brick and Mortar Local Funnel Template" and FB Ad Setup. REPLAY HERE OR PM ME FOR PAYMENT LINK. Last edited by BlackHatX; 03-04-2019 at 02:45 PM. Everything was now GB. Why is that? Hi, Latest course not possible manage it first. Can I have the payment link... I want in. 2 Spot Taken.....10 Left!! GB Price Will Be 50 USD. Hi...after payment you will get the download link. To have access to this BackBack Guide Advanced I need to buy the VIP member and then make another payment? All times are GMT +6.5. The time now is 06:51 PM.